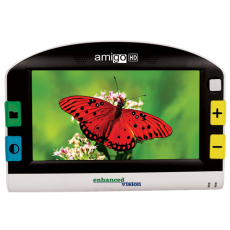 "I have seen many magnifiers and I love the tilt screen and the freeze frame features on my Amigo. The image is excellent and fills the expectations of being bigger and bolder and brighter! 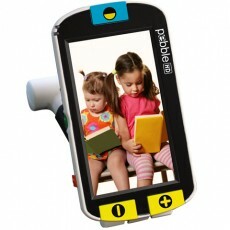 I love the fact that it has a large screen and that it comes with a very nice looking carrying case. Enhanced Vision delivered everything and more that I saw in your advertising!" 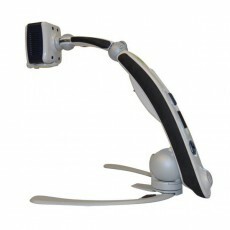 Portable HD Desktop Magnifier On The Go! 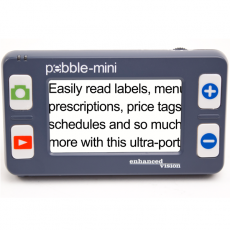 High Definition • Lightweight • Portable Am..
Pebble-mini’s ultra-compact design makes it the ideal hand-held magnifier whether you&rsq..